Last weekend, challenged by my Blog master to go Blog elsewhere, I, in a roundabout way, found myself on Friends Reunited. It has been six years since I first registered. I was amazed at the upgrades. In addition to finding an old colleague that I had lost touch with for 10 years, (we have emailed twice now) I found a couple of secondary school friends, added two names to the “do you know this person” list, emailed a girl who I don’t know but who lived in the same flat as I in the same year, in Worthing, and learnt how to upload photographs. However, here I am at the point to this Blog! In the profile FR asks you to list your top twenty words. Well, being a wordsmith I got stuck in – and then I thought how common and superficial they were so scrubbed them out. I have listed another top twenty here to get your view point. These are all words that stimulate my creative thinking. A process that I have to work at big time! Tell me what are your top ten (twenty I have decided is too many) and why? Whilst you consider these and your own key words here’s a little light entertainment! PS you will be pleased to know that despite the bizzarre and longish words in this list the readability stats is 84% and the reading ease is 5. If you enjoy reading my Blogs please do click on comments then click on the RSS button to get notification when a new Blog is posted. Nice lists – what/who is darth? Do you mean dearth? And cummonangetaff? My reading could be improved…. Isn’t it a shame if a main purpose of words these days is reveal our subconscious! Too much visual emphasis in the world? Perhaps poetry is the medium to remind us about choice of words and videos should have option to run words over the screen at the same time. Darth is the name of my cat. I named him after Darth Vader (Star Wars), and he’s dead cool!!! 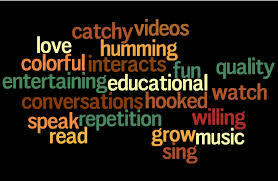 Here is another top ten words – these relate to selling! PS cummonangetaff needs to be pronounced with a Glaswegian accent!